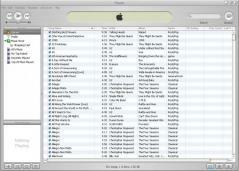 iTunes is Apple’s digital media player for iPod, iPhone and iPad, working also on Windows OS. Experience iTunes on your Windows-based PC to manage, play and share music, movies, TV shows, applications and more. Browse through the virtual shelves of the iTunes Music Store to preview and buy music videos from classics to new releases and iTunes exclusives, for only $1.99. Watch TV shows at home or download them on your iPod and watch them anywhere else. Shows from NBC, ABC and Disney TV can be bought only on iTunes. Use Ministore to search new music and import new CDs straight from the iTunes library. Now you can play your own movies on iPod by using iTunes to create compatible versions for iPod. Use AirPort Express with AirTunes to stream a song wirelessly to up to three home stereos or powered speakers at the same time. The official store for iPhone/iPod/iPad applications.